Our Budget motel room is very basic but offers clean affordable accommodation for the budget conscious. It’s located on the 1st floor offering 1 queen and 1 single bed, walk-in shower, tea & coffee making facilities, bar fridge, air-conditioning and free WIFI. A spacious ground floor motel room - brand new ensemble beds, configuration consists of 1 queen bed and 1 single bed. En-suite bathroom with shower, hairdryer, 32" flat screen television, tea & coffee making facilities, small bar fridge, iron & ironing board, free WiFi. Newly refurbished suites, bedding configuration consists of 1 x queen size bed and 1 x single sofa bed. Bathroom with corner spa bath, hairdryer, kitchenette, iron & ironing board, air-conditioner, 32" flat screen television with Foxtel and free WiFi. Our spacious ground floor Deluxe Motel Room has brand new ensemble beds with 1 queen and 1 single bed. These rooms are tiled throughout with a 2 seater lounge, dining table, bathroom (shower, toilet, basin and hairdryer), cooking facilities (microwave, kettle, toaster and crockery), small bar fridge, iron & ironing board facilities. Bedding configuration consists of 1 x queen size bed , 1 x single bed and 1- 2 x trundle beds. All brand new ensemble beds and trundles. Open planned lounge and fully equipped kitchen. Bathroom, hairdryer, iron and ironing board, air conditioning, 32" flat screen television and free WiFi. Our split level 3 bedroom townhouse offers separate fully equipped kitchen, lounge & dining area, bedding configuration consists of 2 queen beds and 2 single beds. Air-conditioning, hairdryer, iron & board, Foxtel TV and free WiFi. 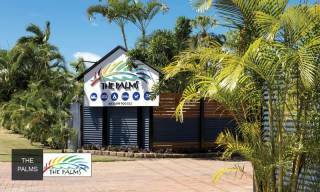 The Beach Motel Hervey Bay is located opposite the crystal blue waters and golden sands of Shelly Beach. Lush tropical gardens surround the rooms, inground pool and BBQ area. The property is situated on the corner of Ann Street and The Esplanade. Centrally located, a short distance from the local restaurants, cafes, shopping centre, bars, clubs, sporting venues and many more attractions to Hervey Bay. The Rates and Accommodation are the perfect solution for all travellers to Hervey Bay. The Motel's facilities include a large swimming pool with built in spa, covered outdoor entertaining area with barbeque facilities, internet, function/conference room, guest laundry. Complimentary car parking. Spa Suites have Austar TV. Relax and enjoy a therapeutic remedial massage, discover Hervey Bay and Fraser Island - our friendly team will be more than happy to assist you with all tours, local attractions, enquiries and bookings. If you will be arriving after 7:00pm on Moday to Saturday and 4:00pm Sunday, please contact reception on the number provided on your email to arrange late arrival instructions. Full payment is required by Credit Card upon booking. The company reserves the right, in the event of any booking being cancelled by a guest, to charge a cancellation fee. Cancellation less than 24 hrs prior to arrival incur a charge of the first night.